Last week, Owners at Dancing Bear Aspen enjoyed front-row seats to one of the most anticipated and historic events of the winter season: the 2017 Audi FIS Ski World Cup Finals hosted on the legendary slopes of Aspen Mountain. It had been 20 years since the World Cup Finals were last held on North American soil, making this a major event for fans of competitive ski racing. Owners enjoyed views of the lower slopes of the race course from the rooftop terrace complete with festive mimosas and a bloody mary bar each day and were able to easily access both the Finish Area and the World Cup Village – located just across the street in Wagner Park. Owners enjoyed the live music of Michael Franti & Spearhead, who were playing across the street at Wagner Park as part of the Bud Light HiFi Concert Series on Saturday night. The best part? They didn’t even have to leave the comfort of Dancing Bear Aspen’s spectacular terrace. Caribou Catering served up delicious hors d’oeuvres throughout the night. And Owners were also treated to a new signature drink to commemorate the occasion: the Raspberry Jalapeno Mule. Made with local vodka from Woody Creek Distillery and served in signature Dancing Bear Aspen copper mugs, the drinks were a hit. The après-ski party was capped off with a stunning fireworks display to celebrate the return of World Cup ski racing to Aspen with a truly international audience. Mikaela Clinches the Overall Title on Sunday! Our congratulations go out to Mikaela Shiffrin on her historic win of the overall crystal globe to close out the World Cup Finals. Born and raised in Vail, she became the ultimate local hero, and her historic moment in Aspen won’t soon be forgotten. At just 22 years of age, she is the youngest overall champion since 2003, and the first American to win the overall title on American soil. The Audi FIS World Cup Finals were a magical, and extraordinary event to witness. 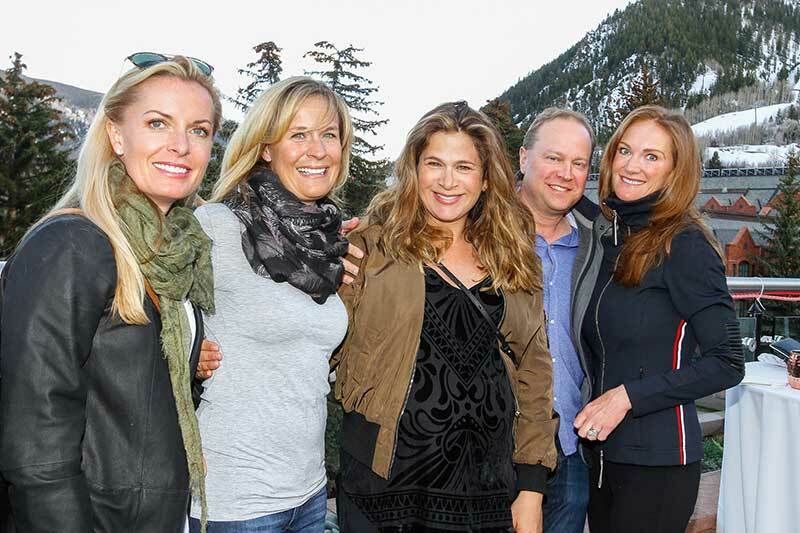 But the great thing about Aspen is that it attracts such world-class events on a regular basis. Next up on our calendars? The annual FOOD & WINE Classic in June. While the event takes place across downtown, the hub is the Grand Tasting tent located in Wagner Park, just across the street from Dancing Bear Aspen. Owners will enjoy exclusive access to our opening party, and once again, a front-row seat to America’s premier culinary event. Want to know more? Contact us to visit the Dancing Bear Aspen and learn about ownership opportunities.